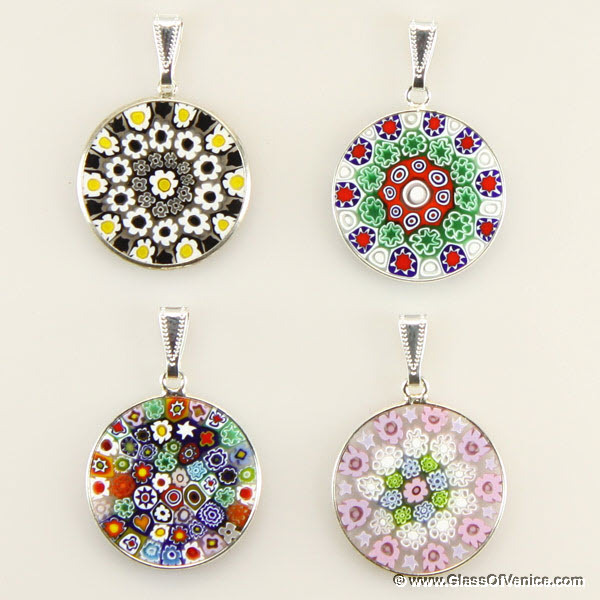 Millefiori pendants are the most recognizable pieces of Murano glass jewelry, which remained fashionable for centuries. 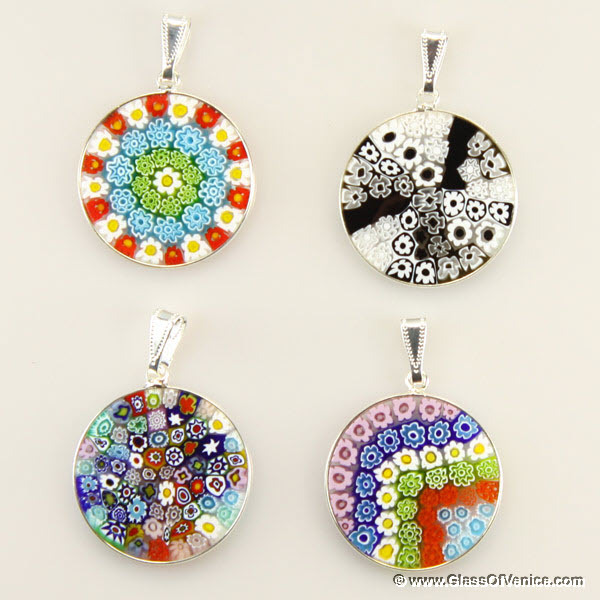 Our 100% authentic hand-made Millefiori pendants have been created by talented Murano glass masters in Venice, Italy and are of the highest quality. 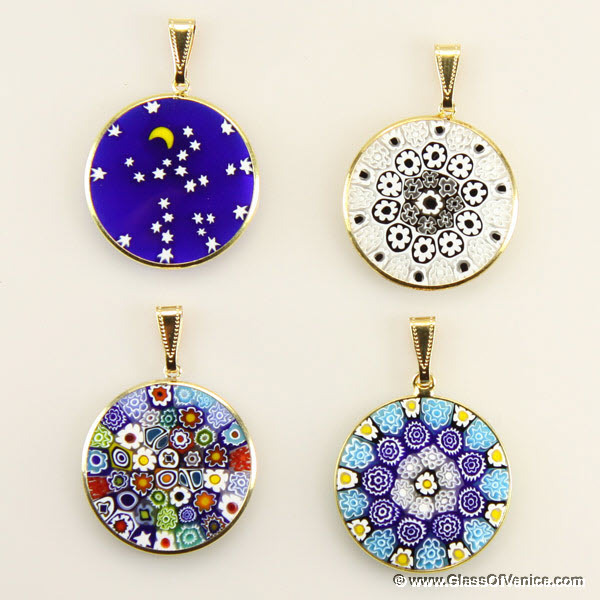 Frames are in 925 sterling silver and gold-plated 925 sterling silver.